The MINT event took place on 30th of January 2019. 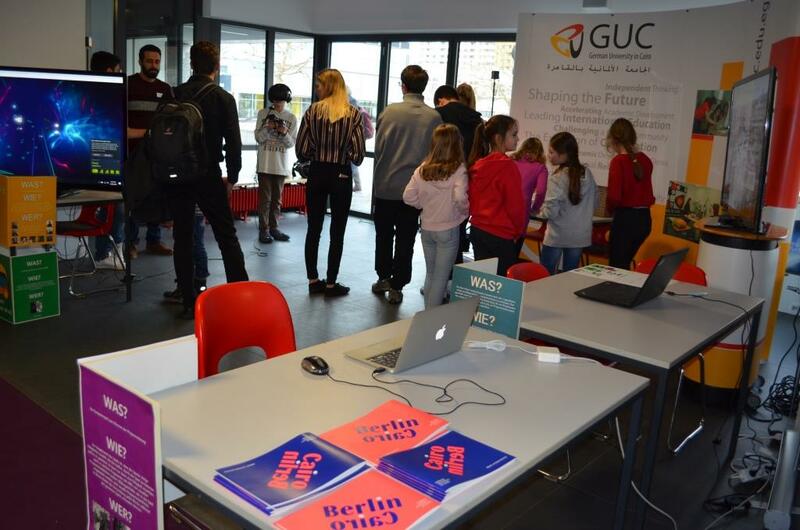 GUC Berlin had a presentation in the Foyer of Fontanehaus beside Ernst-Litfaß-School and FU Berlin. 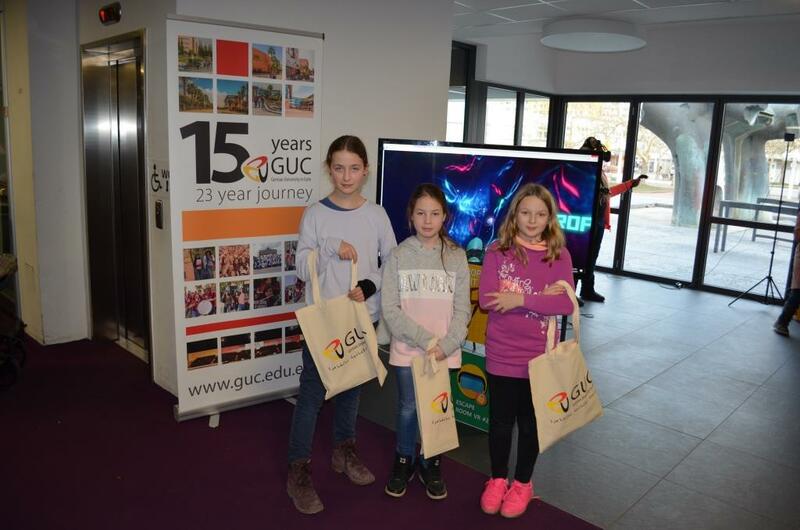 The interactive presentation of GUC with the games was a great opportunity and attracted many to come over from the main hall. 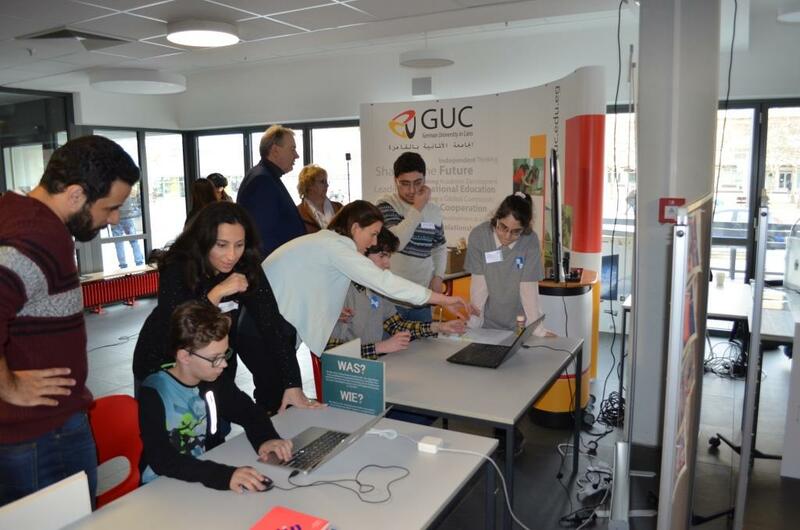 The games presented were a big success and the youngsters were lining up to try them. We had a table with info sheets and giveaways and an additional table with Cairo Berlin brochures from our cooperation with Ernt-Litfaß School.